Cliff hanger ended! I actually have a couple of customers ask to be kept advised when my wife made her mind up and bought the car. The BEST car, I might add. According to her, it is a Lincoln MK Z. She had been making phone calls to me all Friday afternoon (February 13th) making me a bit suspicious as to what, exactly, was going on, but she was a bit evasive. By 6 o’clock the questions were more direct, and getting more expensive- but it was her money. Yeah, yeah, I know- what’s hers is hers, and what’s mine is hers too, but in this case it is her car payment out of her paycheck. This Lincoln was a dealer show car- to impress potential buyers and to be a “loaner” car, so it had just about every bell and whistle available as an option. My wife (opposed to me) is a gadget junkie (three remotes to work a TV!? ), so she was enamored by the car from the first time she had researched it online. As a grandma she most wanted a rearview camera to prevent backing over a child. Never mind it had never happened (even remotely), but in her mind the potential was there. Jenny is a firm believer that if women don’t have something to worry about, they’ll make it up just so there is something to keep the mind busy. In the old hierarchy of the automotive field there used to be a progression of ownership- if you were a GM family, it was Chevrolet, Buick, Oldsmobile, Cadillac. Chrysler folks went Plymouth, Dodge, Chrysler, then Imperial. 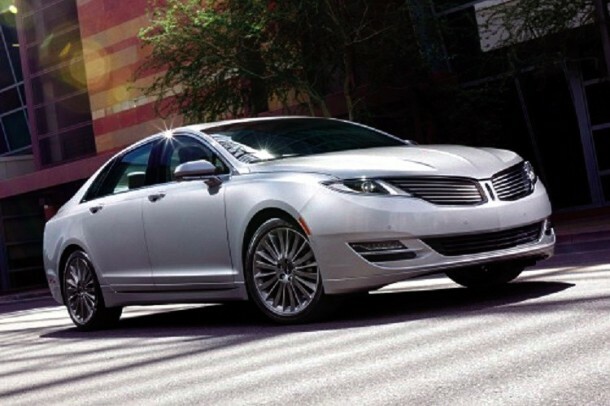 And, for those in the land of Ford, it was Ford, Mercury, stepping up to Lincoln as your finances and status rose. So, in Jenny’s mind she had worked long enough and was close enough to retirement that she deserved one of the top echelon car lines. I do have to say, however, at least she is not going to be one of those tiny little ladies looking UNDER the steering wheel of her barge car as she pilots the streets of Arizona. Come on – you know you saw them in the past – the big Cadillac/Lincoln/Imperial with no one driving unless you looked veeery carefully and saw that blue hair peeking just barely above the dash board, tiny hands clutching the wheel and you realized those were attached to a driver. The size of the owner’s manual is enough to create the car to lean to one side when it’s put into the totally misnamed ‘glove box’. Did you ever wonder WHY it is called the glove box? It was where a chauffeur kept his goggles and gloves when not driving. When was the last time you put gloves in glove box? I am, generally, not in favor of third party extended warranties- insurance companies are not out to lose money- and the dealerships that sell them make a hefty markup when they sell them, but in this case an insurance policy to cover the electronics – you betcha! Hey, look, I want to retire too- and repairing a car with enough gadgets to keep my wife busy was not on my 10 most wanted things to do when I retire- so get the insurance policy and let someone else crawl under the dash. In all, she’s thrilled and happy. Happy wife, happy life. P.S. She is soooo happy I am supposed to put a plug in for Sanderson Lincoln. Again, happy wife, happy life.